There are a multitude of concerns for parents during the first few months of a newborn’s life. They are appropriately concerned with everything from colic to cough, ear infections to diaper rash, and whatever else may have the little cherub upset. With so many other worries, the health of the baby’s feet is usually far down on the list of things to look out for. Still, the little angel will be crawling before you know it and walking sooner than you think. During the pre-toddler stage parents may put shoes on baby’s feet just because they look cute. It is usually not until the wee one takes his first steps that parents start to consider what that footwear will mean not just to his development, but to how his feet will function for the rest of his life. Should babies even be wearing shoe? What kind of shoes should they wear once they start walking? It is normal for a newborn baby’s feet to appear a bit discolored and a bit malformed. Right out of the womb a child’s feet is still in its infantile stages. Podiatrists know that most babies are born with feet that are “fat, flat and floppy”. The baby's foot structure serves an important purpose; to provide support for standing before their little feet, ankles and legs are fully able to bear the load. The extra fat on the baby’s feet does not normally begin to recede until the age of two and it takes several years of bone and muscle development before they become less flat and floppy and more strong and stable. The question is; What kind of footwear is most appropriate during those developmental stages? There are distinct advantages to learning to walk in bare feet. Actually there are ten advantages. Just as an infant will wrap his fingers around a big finger when offered, so too will a child’s toes clamp, brace and anchor to the floor when learning to walk. Of course, mothers and fathers are concerned over the warmth and safety of their babies’ feet when traversing the floor. Socks with rubber grips will effectively insulate and protect the appendages without inhibiting the action of the digits. In this way, a child uses the whole foot, as opposed to just heel and sole, to join the ranks of the upright. What Type of Baby Shoes Are Best? In generations past podiatrists believed that the inflexible support of high-topped shoes helped kids’ feet maintain optimal position and stability. Over the years though, children’s podiatry specialists began to recognize that the bones in baby feet are pliable and do not sufficiently harden until four to five years of age. Wearing rigid shoes over extended periods before the bones are fully fortified can negatively impact your child’s development. Another concern is in the process of learning to walk. Baby shoes clearly add weight to the feet and increase the likelihood and frequency of tripping and falling. Yes, these shoes are cute, but the proper growth and development of the feet should be first priority. When fitting the baby with shoes, parents do well to watch their child’s facial response for any expressions of discomfort. We recommend having your child wear a shoe that is breathable and flexible that adapts to your child’s natural foot shape. When fitting the baby with shoes, parents do well to watch their child’s facial response for any expressions of discomfort. The best shoes are porous and bendable as well as adaptable to the shape of the foot. The key is to remember that the feet of infants, toddlers and children are a work in progress. Don’t be in too much of a hurry to make them look fashionable, but rather allow them to naturally develop their strength and stability. Babies, and their feet, are precious. Don’t cover them up with shoes until it’s really necessary! 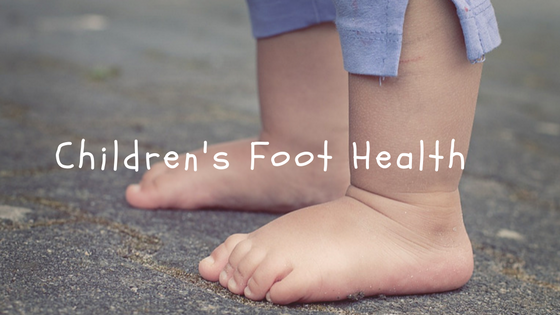 If you have concerns about your child's feet or would like more information about your child's foot health call 562-433-0478 to schedule a consultation with one of our caring podiatrists.